Over the years, the magic of Star Wars™ has always lived on screen and in our imaginations. Thanks to our advancements in technology, we’ve made it possible to bring a new part of Star Wars: The Force Awakens™ into your home. 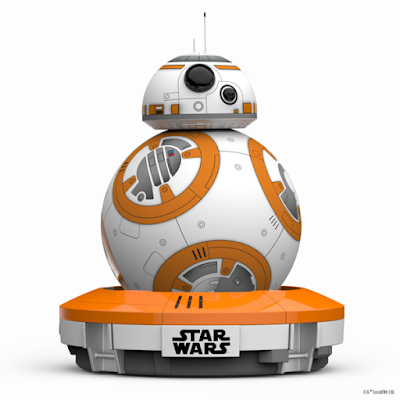 Meet BB-8™ - the app-enabled Droid™ that's as authentic as it is advanced. BB-8 has something unlike any other robot - an adaptive personality that changes as you play. Based on your interactions, BB-8 will show a range of expressions and even perk up when you give voice commands. Set it to patrol and watch your Droid explore autonomously, make up your own adventure and guide BB-8 yourself, or create and view holographic recordings. See if your device is compatible here.